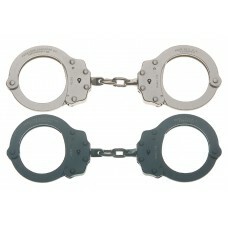 LINEAR AND LATERAL MOBILITY ASP Chain Handcuffs provide a major advance in both the design and .. 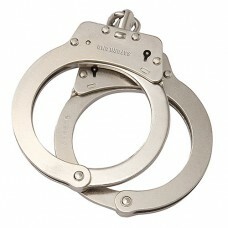 LINEAR MOBILITY, LATERAL RIGIDITY Hinge Handcuffs provide increased control of violent subjects.. The classic design. 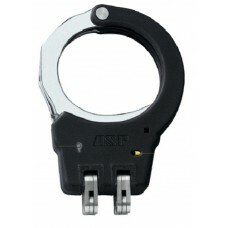 The Model 700 incorporates spun rivet construction for increased strength and.. 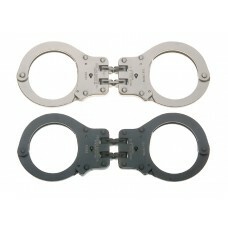 The Peerless Model 801 provides additional restraint by more effectively restricting hand and arm.. The Model 703 Leg Iron features all steel construction, spun rivets and a rust resistant nickel f.. 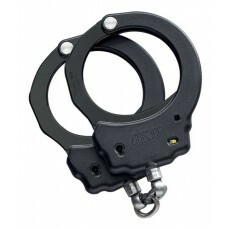 The Model 7030 is designed specifically for larger individuals or special security applications. ..
Top quality, heavy duty, steel construction 18 tooth, 3-retaining-bar system for uncomp.. 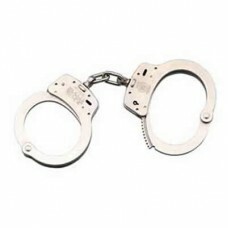 Solid links connect the cuffs as opposed to the roller chain Heavy-duty, solid hinges f..
17% larger than the standard model Ideal for reataining larger subjects 18-tooth, 3-retaining..
Smith & Wesson handcuffs are fabricated from the finest quality carbon steel. They are manufactur.. 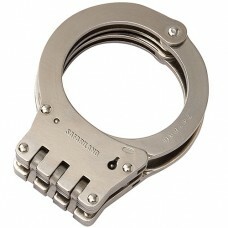 This handcuff features our hindged design to further restrict movement along with our push pin do..
Our NEW Model 100 LEVER LOCK handcuffs offer a new, patented double locking system. The double lo..